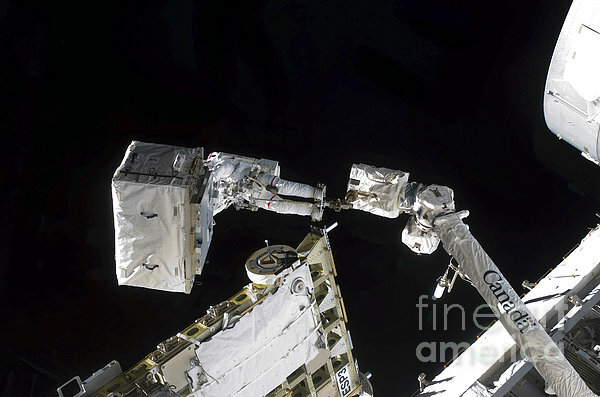 Anchored to a Canadarm2 mobile foot restraint, an astronaut works to clean and lubricate part of the station's starboard Solar Alpha Rotary Joints (SARJ) and to remove two of SARJ's 12 trundle bearing assemblies. 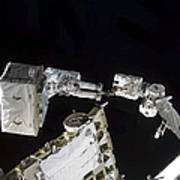 Spacewalkers also removed a depleted nitrogen tank from a stowage platform on the outside of the complex and moved it into Endeavour's cargo bay. 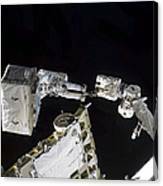 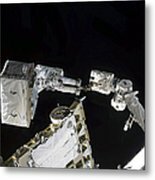 They also moved a flex hose rotary coupler from the shuttle to the station stowage platform, as well as removing some insulation blankets from the common berthing mechanism on the Kibo laboratory.